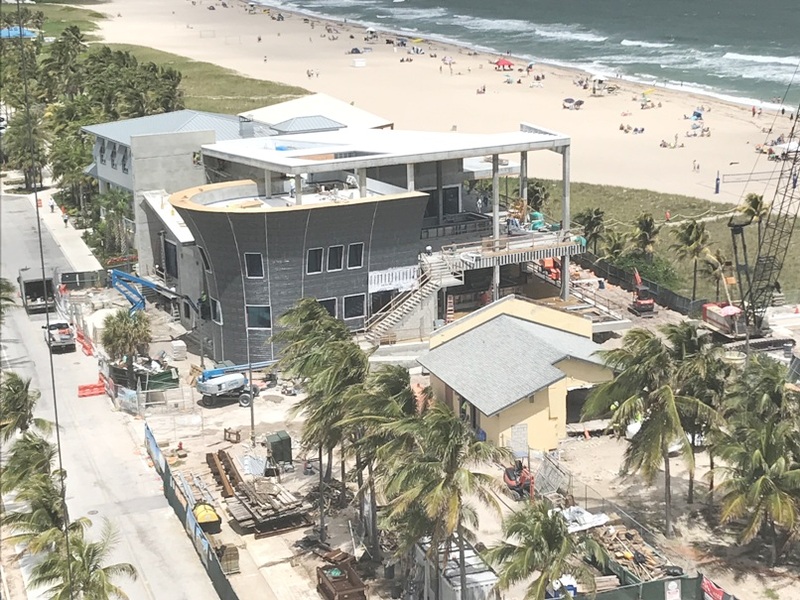 We’ve got an update on the Pompano Beach Fishing Pier construction progress, the likely opening date for the new Oceanic restaurant and the latest on the rest of the development. We’ve also got updated pictures below. You can see what the Oceanic will look like after completion here. 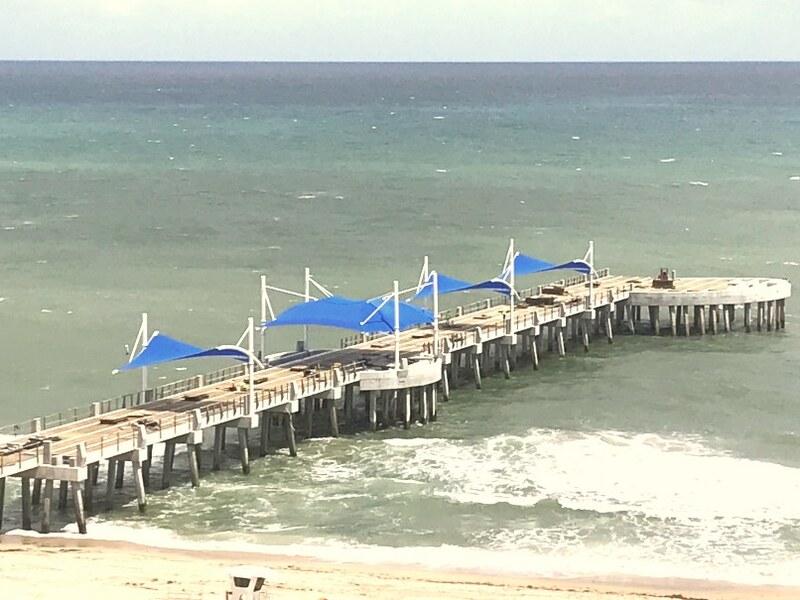 As you will see in the photos below, the pier is getting close to completion and officials are optimistic that it will be open by July 4th. Hernandez says, he is “hopeful” The Oceanic will also be open for the July 4th holiday. The Oceanic has seen slower than expected progress but made some big steps in the past week, as you can see in the photos below. 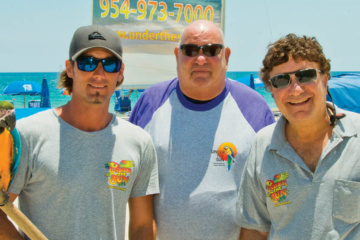 The outdoor Lucky Fish Bar and Grill restaurant expects to open by September or October. (You’ll find a sneak peak at what the finished beach bar will look like here). Alvin’s, the beach store already under construction should be open for business “by year’s end”. Burger Fi, Kilwins and Cannoli Kitchen may open as soon as “60-90 days”. They expect to break ground on the new hotel by May, with the project taking another “14-18 months” for completion. The lease for the catering hall has not yet been signed. Once that is done, they will need to go through the approval process. It will then take at least another year until it is completed. Hernandez is very happy with all of the progress made and believes the development will “exceed expectations”. 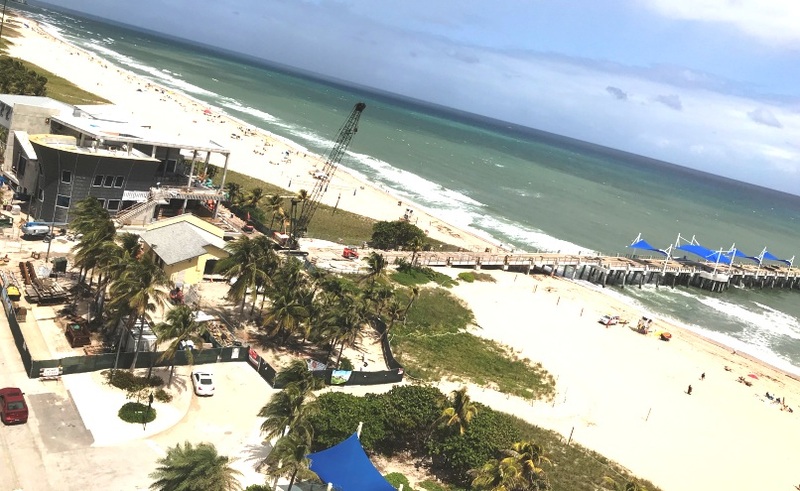 He feels his group has gone “above and beyond” in making the project “spectacular” and something Pompano Beach and all of Broward County will gravitate towards.